Great idea adding the google eyes. Thanks for sharing with us at Heart2Heart! Fun and adorable card...love your selection of design papers from Little Dreamer. Thanks for joining us at Heart2Heart and please check the other challenges for May and become an Addict and earn a Perfect Attendance award...you're half way there. 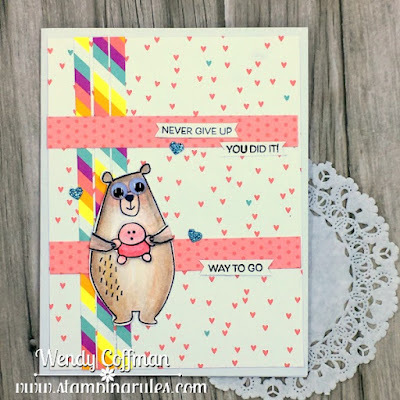 Really cute card, Wendy! 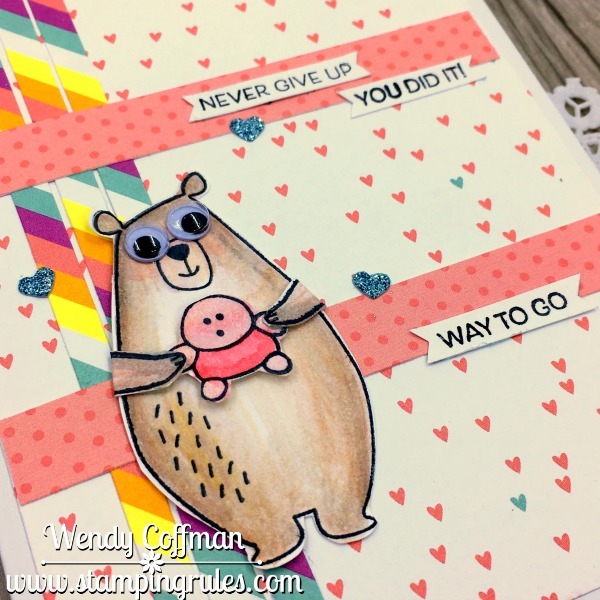 I love the wiggle eyes on the bear and the colors you chose. Thanks for inspiring me today. Sticky Boy! I love it! This card is so sweet and awesome! Thanks for playing along with Atlantic Hearts Sketch Challenge (AHSC). Ah it's Sticky Boy! What a fabulous pairing with the Jack bear- so adorable! Thanks for joining us at H2H challenges. Kids love an adorable card. Really cute card, thank you for inspiring me today. The card is pretty much.